To compare real-life performance I shot this scene with the Panasonic Lumix GM1 and the Sony Cyber-shot RX100 II, within a few moments of each other using their best quality JPEG settings; RAW results will follow as soon as the GM1 is supported in Adobe Camera RAW. The Lumix GM1 was fitted with the 12-32mm kit lens, set to 32mm for a 64mm equivalent field of view, and the Sony RX100 II adjusted until it matched the vertical field of view; since the Sony captures a slightly wider 3:2 shaped image there are thin vertical strips down the side of its test shot here which are effectively ignored in this comparison. Both cameras were set to their respective maximum apertures at this focal length, f5.6 on the Lumix GM1 kit lens and f5 for the RX100 II. All other camera settings were left on the defaults. Stabilisation was however disabled for this tripod-mounted comparison. The image above was taken with the Panasonic Lumix GM1 and the 12-32mm kit zoom set to 32mm for a 64mm equivalent field of view. The camera was set to Aperture priority mode and f5.6 was selected as this produced the best result from the lens. With the sensitivity set to 200 ISO the GM1 metered an exposure of 1/2500. The Sony Cyber-shot RX100 II produced its best results at f5, where it metered 1/1600 with the sensitivity set to 160 ISO. The GM1 JPEG file measured 8.29MB and, as usual, the crops are taken from the areas marked by the red rectangles. Before starting, it’s worth reminding ourselves about the differences in their sensors: the Lumix GM1 employs a Micro Four Thirds sensor measuring 17.3x13mm with 16 Megapixels, while the Sony RX100 II employs a 1in type sensor measuring 13.2×8.8mm with 20 Megapixels. As such the Sony is packing more pixels into a smaller area, so its lens had better be optically sharp enough to meet its demands. The higher resolution of the RX100 II means the crops at 100% show a slightly smaller area than the GM1, but is it recording any finer detail? At first glance they look quite similar, but look more closely and you’ll see the GM1 kit combination is delivering crisper and finer details, at least with its lens set to 64mm equivalent and using the default JPEG processing as tested here. The difference becomes particularly apparent in the final three rows where the text on the signs and the detail on the ferris wheel are simply better resolved on the Lumix GM1 kit. This is impressive performance from a sensor that is actually lower resolution than the Sony – clearly its larger size coupled with a sharper kit lens allows it to deliver crisper and finer details in good light. 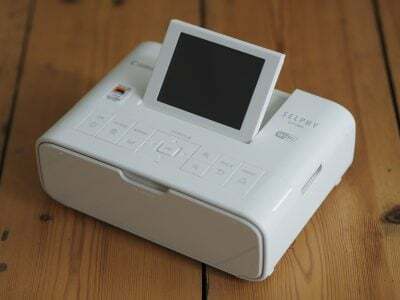 But how much of the sharpness is down to optics as oppose to punchier image processing. Find out in my Panasonic Lumix GM1 RAW quality results page as soon as it’s supported in Adobe Camera RAW! In the meantime though, see how the two cameras compare across their sensitivity range in my Panasonic Lumix GM1 noise results! To compare real-life performance I shot this scene with the Panasonic LUmix GM1 and the Sony Cyber-shot RX100 II, within a few moments of each other using their RAW modes. This page will be completed when the GM1 is supported in Adobe Camera RAW. This page will be completed when the GM1 is supported in Adobe Camera RAW. Until then, please check out my Lumix GM1 noise results, my Lumix GM1 sample images, or skip straight to my verdict! To compare noise levels under real-life conditions, I shot this scene with the Panasonic Lumix GM1and the Sony Cyber-shot RX100 II, within a few moments of each other using their best RAW modes at each of their ISO sensitivity settings; this page will be completed when the GM1 is supported by Adobe Camera RAW. The Lumix GM1 was fitted with the 12-32mm kit lens, set to 15mm for a 30mm equivalent field of view, and the Sony RX100 II adjusted until it matched the vertical field of view; since the Sony captures a slightly wider 3:2 shaped image there are thin vertical strips down the side of its test shot here which are effectively ignored in this comparison. Both cameras were set to f4 in Aperture priority mode and all camera settings were left on the defaults. Stabilisation was however disabled for this tripod-mounted comparison. This page will be completed when the GM1 is supported in Adobe Camera RAW. Until then, please check out my Lumix GM1 sample images, or skip straight to my verdict! To compare noise levels under real-life conditions, I shot this scene with the Panasonic Lumix GM1and the Sony Cyber-shot RX100 II, within a few moments of each other using their best quality JPEG settings at each of their ISO sensitivity settings; my RAW results will follow on the next page when the GM1 is supported by Adobe Camera RAW. The image above was taken with the Panasonic Lumix GM1 and the 12-32mm kit zoom set to 15mm for a 30mm equivalent field of view. Both cameras were set to f4 in Aperture priority mode. With the sensitivity set to 125 ISO the GM1 metered an exposure of 0.4 seconds. The GM1 JPEG file measured 8.47MB and, as usual, the crops are taken from the area marked by the red square. Before starting, it’s worth reminding ourselves about the differences in their sensors: the Lumix GM1 employs a Micro Four Thirds sensor measuring 17.3x13mm with 16 Megapixels, while the Sony RX100 II employs a 1in type sensor measuring 13.2×8.8mm with 20 Megapixels. As such the Sony is packing more pixels into a smaller area, so not only does this place greater demands on the optics, but also suggests its noise performance may not be as good. Starting at their lowest sensitivities, the GM1 and RX100 II share a similar amount of real-life detail in the crops below, but noise textures are creeping into both sets of crops as early as 200 ISO if you look carefully. As each camera increases its sensitivity though, it’s not the noise which becomes the problem, but the amount of detail left in the image. As early as 400 ISO, it’s clear the RX100 II is beginning to fight a losing battle with detail in the shadow areas: the fine pattern near the top of the pillars is beginning to be smudged-out on the Sony, while it remains quite clear on the Panasonic. At 800 ISO the Sony RX100 II has become quite mushy, and while there’s some noise textures on the Lumix GM1, its output is clearly far superior. At 1600 ISO the GM1 is beginning to lose detail in those patterns, but just look at it compared to the Sony RX100 II which is so much softer. By 3200 ISO those fine patterns have just about disappeared on the Sony, and while there’s a also great deal of loss on the GM1 at this point it remains comfortably ahead. This continues for the rest of the range, although I’d suggest the GM1 shouldn’t attempt 25600 ISO as it looks pretty horrible. So when comparing the same ISO values, I’d say the GM1 enjoys between one and two stops of an advantage over the RX100 II beyond their lowest sensitivities. This is a great result for the GM1, but doesn’t quite tell the whole story when it comes to real-life performance. If you’re using the GM1’s kit lens, you’ll be working with an aperture of f3.5 at 24mm equivalent, slowing to f5.6 at 64mm equivalent. 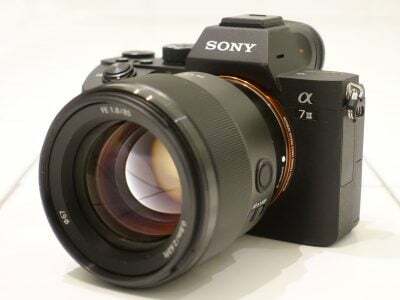 Meanwhile the Sony RX100 II’s built-in lens starts at f1.8 at 28mm equivalent and slows to f3.5 at 64mm equivalent (when matching the GM1’s kit zoom at its maximum focal length); the RX100 II then continues to slow down to f4.9 at its longest focal length. So when the GM1 kit and RX100 II are both at their widest focal lengths, the Sony lens is gathering four times as much light, allowing it to use a sensitivity two stops lower, such as 100 ISO when the GM1 is forced to use 400 ISO to achieve the same shutter speed. When both are zoomed to the GM1’s kit lens maximum focal length, the RX100 II’s lens gather’s just over twice as much light, again allowing it to use lower sensitivities to achieve the same shutter under the same conditions – so again when the GM1 is at 400 ISO, the RX100 II could be at 160 ISO. So the Lumix GM1’s larger sensor and pixel pitch may give it a one to two stop advantage in noise levels, but the RX100 II’s brighter lens essentially claws back any benefit with roughly the same advantage on light gathering power. What this means is if you take both cameras out and shoot under the same conditions with the same shutter speeds, the resulting image quality will be pretty similar. The GM1’s bigger sensor will only give you lower noise levels than the RX100 II when both are sharing the same aperture, and that means equipping the GM1 with something brighter than the kit zoom. As an interchangeable lens camera, you can of course fit any Micro Four Thirds lens onto the GM1, but I wonder how many will do so. 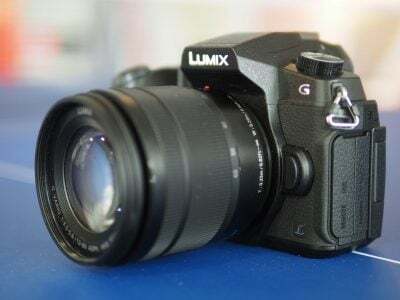 The bottom line is the GM1 will deliver comfortably lower noise than the Sony RX100 II when both are using the same ISO values, but the Lumix is likely to be using higher ISOs if fitted with the kit zoom, which in turn erodes any advantage. But equally it would be unfair not to commend Panasonic for essentially delivering the smallest camera with the best noise levels when considering ISO values alone. Given the same ISO value, the GM1 is much cleaner than the RX100 II, which in turn is cleaner than the Canon S120, and that’s a good result. But how much of what we’re comparing below is down to image processing and noise reduction? To find out, we need to compare RAW files processed with the same settings. I’ll do just that on my Panasonic Lumix GM1 RAW noise page just as soon as the GM1 is fully supported in Adobe Camera RAW. In the meantime, please check out my broad range of Panasonic Lumix GM1 sample images, or skip straight to my verdict!